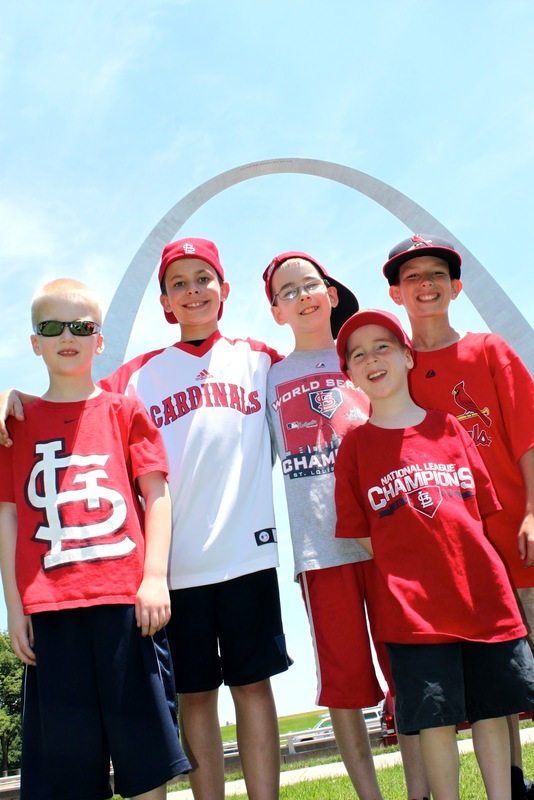 Last week, we went to St. Louis to visit our good friends who moved to Baton Rouge in April. They were staying with family in the St. Louis area, so it was a great way for us to spend a few days together without driving all the way to Louisiana. 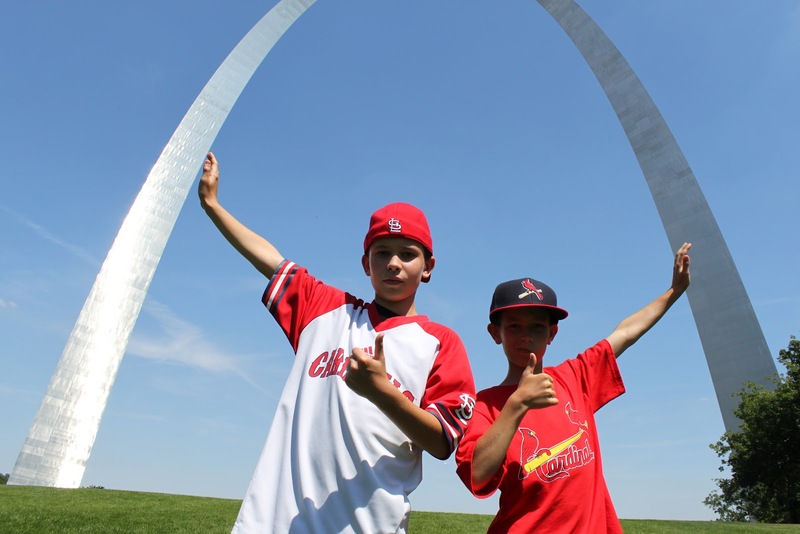 We couldn’t visit St. Louis without going to see the Gateway Arch. The great thing about hanging out with my friend, Kelly, is that we are both equally obsessed with taking photos. So, when exploring a place as photogenic as the Arch, we didn’t have to constantly beg each other to stop to shoot a photo. 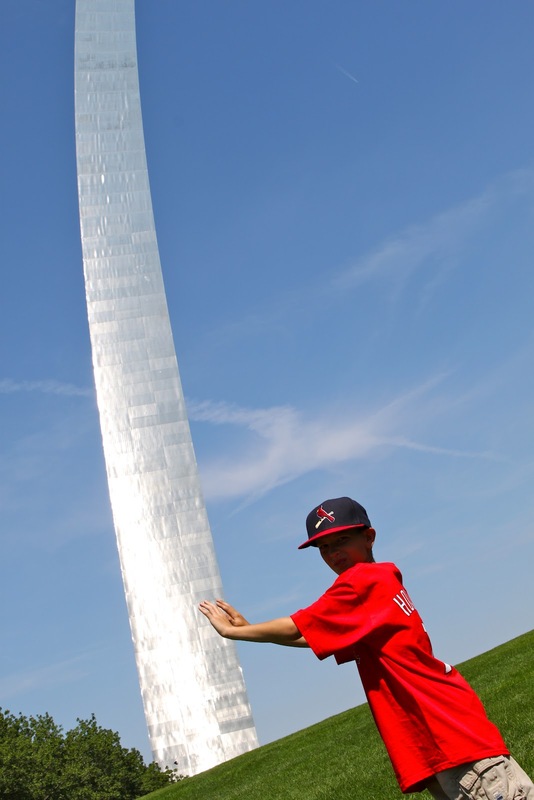 The Arch is a study in angles. It seems to curve and rotate as it stretches into the sky. 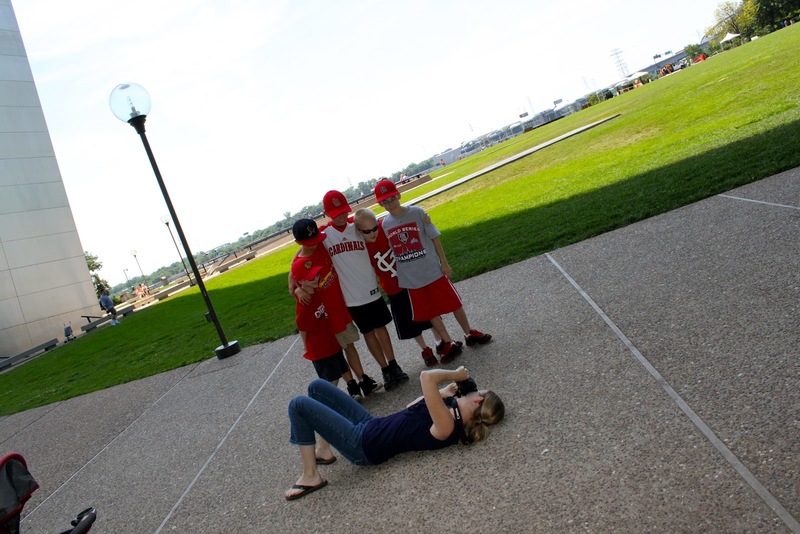 Figuring out how to get the best photo was a puzzle we were determined to solve. We walked around it. We laid on our backs. We walked away from it to look from a distance. We had a certain photo in mind that we kept trying to figure out how to compose. No matter what we did, that photo never seemed to materialize. Finally, we took a walk through town, and when we headed back toward the parking garage, we saw a clue. A man and woman were standing in a big open space in front of the Arch. He had his arms stretched into the sky, and she was looking up at him with her camera. We knew exactly what they were doing! We asked to see the photo on their digital camera, and they showed us just the photo we had been trying all day to create. Looking at him from a distance, he just looked like a strange person with his arms up in the air. 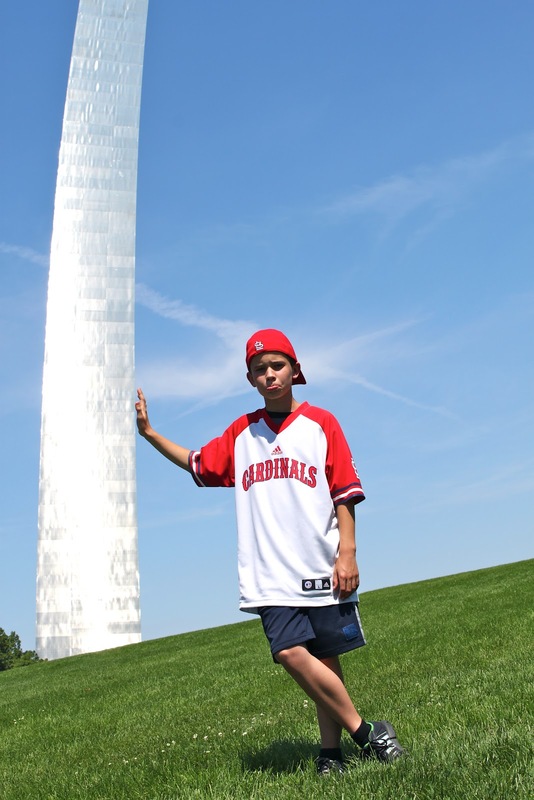 But through the camera lens, held at the right angle, he looked like he was holding the Arch. We rounded up our boys and got them to start posing. It was interesting to me that all day we had wanted to take this funny photo. However, I was convinced that the key was to figure out how to make the person pose in just the right spot. First, Kelly and I took turns standing just where the man had been standing and holding our arms just like he had his. But when I looked through my lens to take a photo, all I could see was Kelly with her arms up high and the Arch way off in the distance. A kneeled down farther. I changed my angle. I looked up, and it started coming into view! I moved myself slightly to the right, then to the left. Finally, she was holding the Arch! Getting that photo really wasn’t as much about the subject as it was the photographer. Soon, five or six other groups of people were gathering on the lawn. They all held their arms up high or pretended to lean. Even though people were all around us, no one was in our way. People could stand in different spots to the right, to the left, in front of us, and behind us. No matter where they stood, they were able to take the same photo without interfering with one another because everyone’s camera was pointed at such a sharp angle upward. 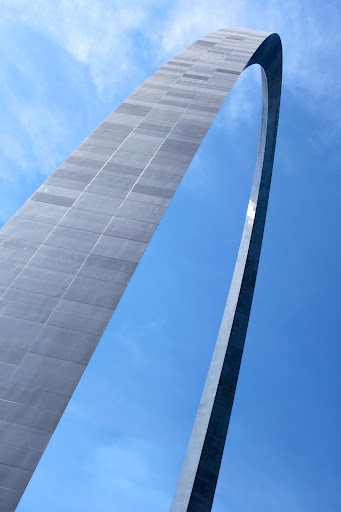 Photographing the Arch reminded me of so many challenges I have faced in my life this year. 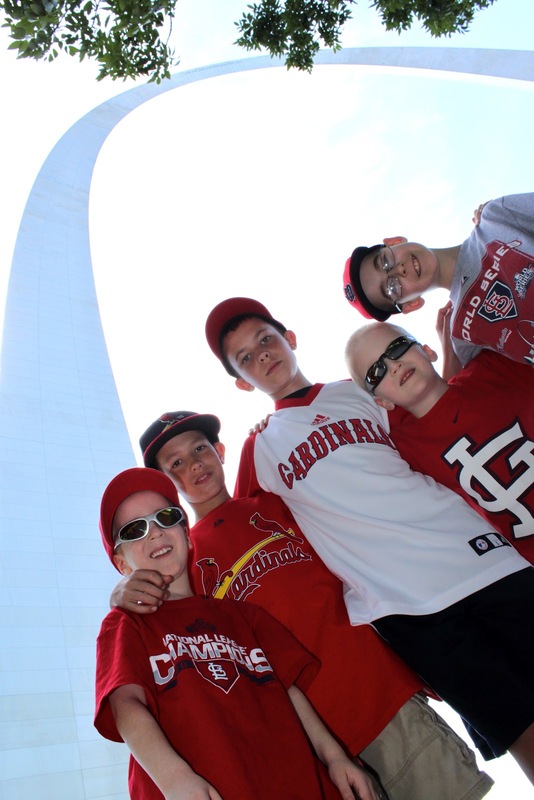 At 630 feet in the air, the massive Arch doesn’t change. It is amazing how something can look so different based on how I choose to view it. It’s strange how you can look at the exact same thing one time and then years later it can look so different. It’s interesting to me that you can look at a situation and see what you want to see. For example, sending my kids to school looks completely different to me in many ways after I have home schooled them for three years. Enjoying an hour to myself is a treasure that I don’t take for granted after having four children. Going for a short bike ride with my husband is a gift after watching him go through intense physical therapy for four months. Spending a few days with friends is a blessing after they have moved 900 miles away. Sometimes I have to kneel down and change my angle to see what I need to see. It’s not always the situation that needs to change. It’s my perspective.